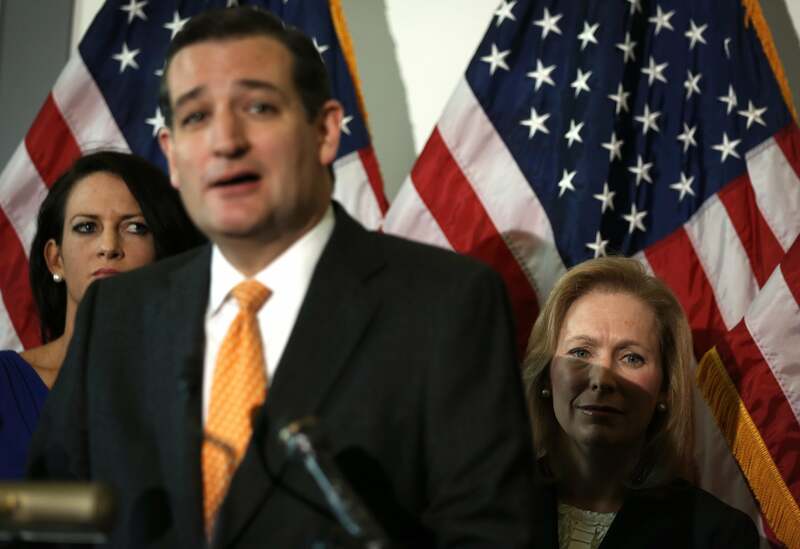 Ted Cruz: The government might be targeting Dinesh D'Souza. Ted Cruz might make the news if he weren’t constantly censored. Ted Cruz’s appearance on Face the Nation didn’t make much news. That was probably CBS’s own fault. As the conservative media-watch site Newsbusters first reported, Cruz initially ended his interview by spotlighting the arrest last week of conservative filmmaker Dinesh D’Souza, acusing the Obama administration of targeting him. CBS cut the answer. Later, Cruz’s office uploaded it to YouTube. TED CRUZ: Let me tell you something that is deeply concerning—the abuse of power from this Administration. We’ve seen multiple filmmakers prosecuted and the government’s gone after them. Whether it’s the poor fellow that did the film that the President blamed Benghazi and the terrorist attacks on, turns out that wasn’t the reason for the attack but the Administration went and put that poor fellow in jail on unrelated charges. Just this week it was broken that Dinesh D’Souza, who did a very big movie criticizing the president, is now being prosecuted by this Administration. CRUZ: Can you image the reaction if the Bush Administration had went, gone and prosecuted Michael Moore and Alec Baldwin and Sean Penn? SCHIEFFER: We are going to leave this for another day, senator. Thank you for joining us and we’ll talk to you again. Cruz was about to mention Chuck Schumer’s Thursday speech at the Center for American progress, where he endorsed a proposed Treasury rule that would tighten the “social welfare” clause and—the theory goes—prevent 501 groups from spending most of their money on politics. CBS tells Media Matters that the answer was cut for time, but that was just bad judgment—surely Cruz’s endorsement of a theory that had heretofore been restrained to PajamasMedia and D’Souza’s Twitter account was newsier than his 11 millionth refusal to declare a presidential bid.